Our banjos range in price from €800.00 to €4500.00, by clicking on the banjos below you will see a detailed overview of each instrument. In addition to our 5 string and 19 fret tenor range we also produce 17 and 18 fret tenor instruments to special order. 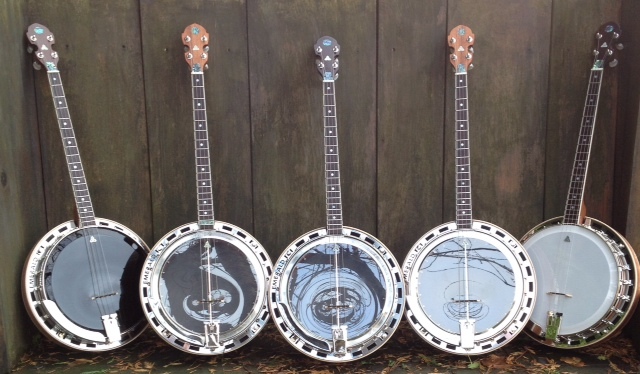 Contact us and we will do everything possible to create a lifetime banjo for you which you will always treasure, will suit your pocket and be affordable.